Shrines and temples are popular throughout Japan as places of great tradition, peace, and beauty. Visiting shrines and temples is a frequent activity of most Japanese people. Takeda Shrine, located in Kofu, Yamanashi prefecture, is a classic example of the beauty found within Japan. 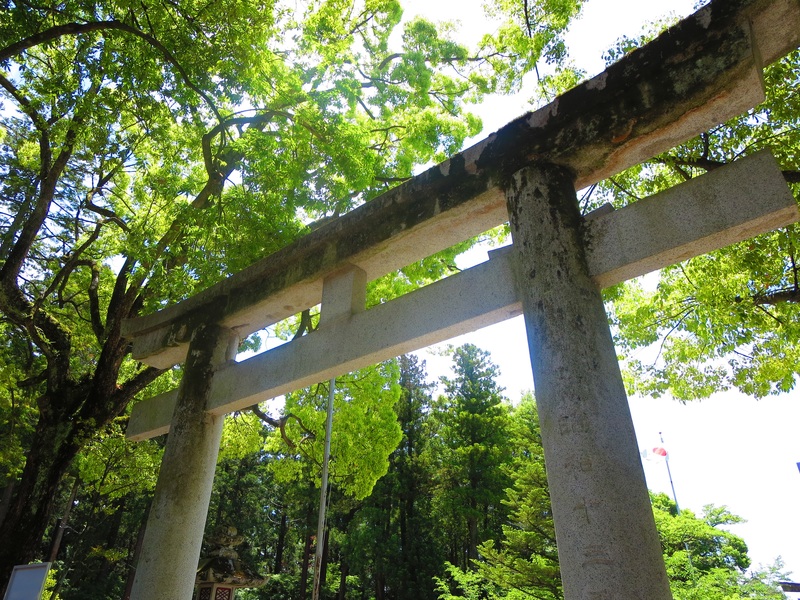 A large, impressive shrine located among greenery, the shrine is a peaceful escape from the town just at its border. Takeda Shrine, a Shinto shrine, was founded in 1919 as a dedication to Takeda Shingen. The shrine was commissioned by Emperor Taisho in 1915, and construction was finished in 1919. It is now considered a Prefectural Shrine. Several buildings are dispersed throughout the shrine grounds, and each is beautiful in its own way. Also on the grounds is a museum, which houses many items that once belonged to Takeda Shingen, including armor, battle weapons, and personal items. A National Important Cultural Property item, a sword originating from the Takeda clan, is also on display in the shrine’s museum. While some feel that many shrines are quite similar, Takeda Shrine is one that is worth visiting . Walking in from the main gate, it is immediately clear that Takeda Shrine has a captivating atmosphere. Colorful tablets with written prayers line the entrance of the main shrine area. Close by, a small shrine shop is open to visitors. 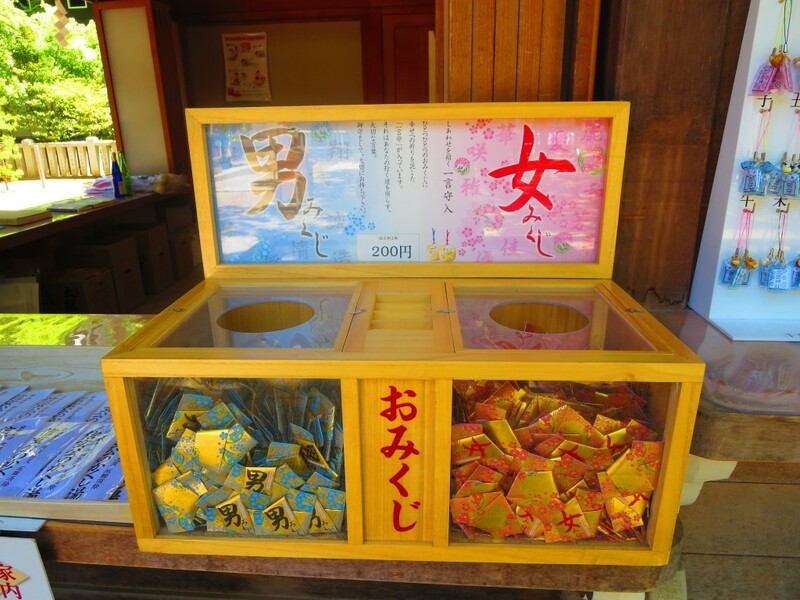 Here, colorful omikuji (fortunes) and lucky charms for many occasions can be purchased. These are available and colors and shapes that are quite unlike those found at other shrines. 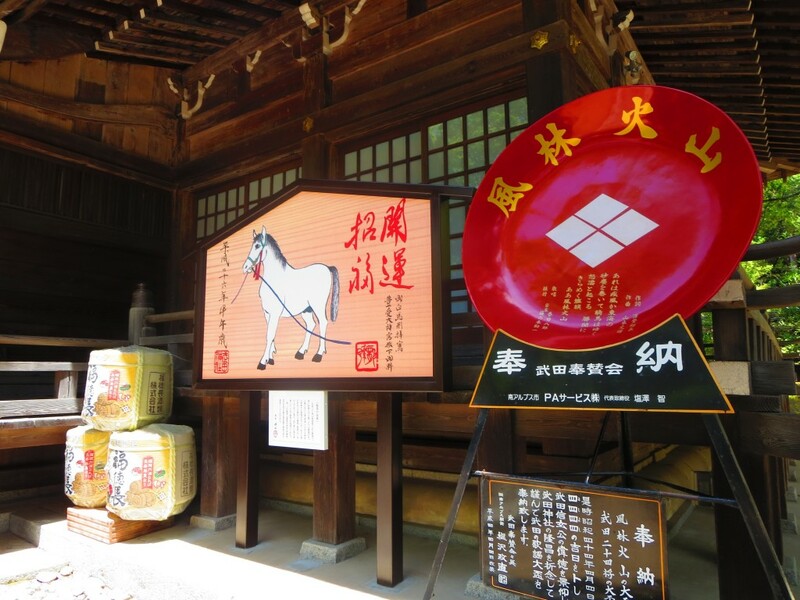 If you find yourself in Yamanashi, be sure to pay a short visit to Takeda Shrine. Don’t forget to buy a lucky fortune while you’re at it! You never know what it might say.